If you drive Route 9, you’ll have noticed the museum’s new gate being built. 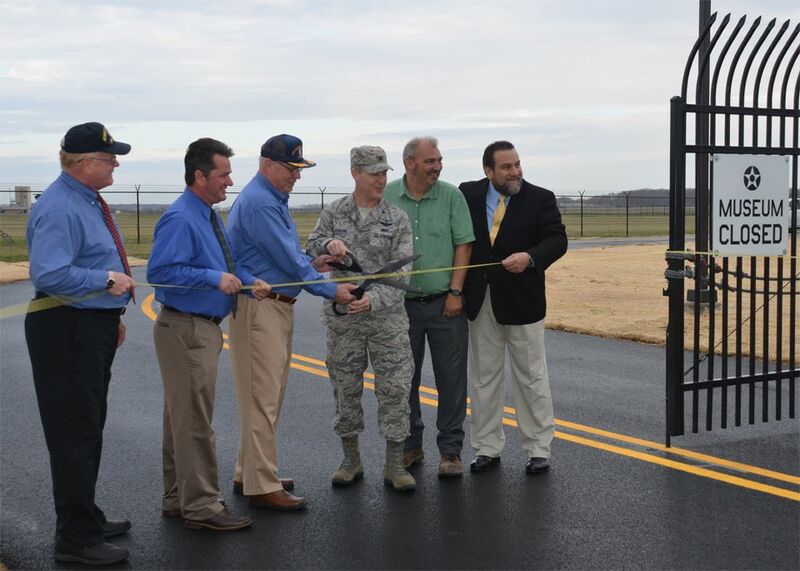 On April 7th, the new gate was officially opened at a dedication ceremony. The gate’s brick wall and metal gate construction is not only more attractive but is also more secure. On a pedestal overlooking Route 9 is a Cessna T-37 Tweet, the USAF’s primary pilot training aircraft for over 52 years. This new gate is the only way to enter the museum campus where you’ll enjoy our latest addition, a C-5A Galaxy, and our most historic airlifter, the C-47A Skytrain. As always, admission and parking are free. I love this Museum. It is constantly growing and getting better all the time. I will keep coming back as often as I can.